The Cloud. Has there ever been a more widely known term that confuses the average person? The Cloud arrived a few years ago and its not going anywhere. That’s why we decided to create a guide to the Top 5 In-Demand Cloud Certifications of 2018. Cloud Certifications are hot right now and you’ll want to see how you can get your foot in the door with Cloud Technology. 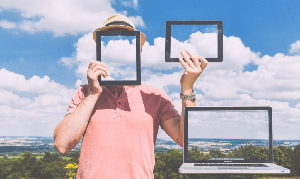 In this guide you’ll find a brief explanation of what the cloud is, our top five certifications, and tips on snagging a new Cloud based Career! It sounds strange and mystical, like data floating through the sky. In essence the cloud is sort of a euphemism for that. Anytime you save information, access data, or use technology, it needs to send, receive, and store information. Anytime a website is accessed, you technically access a computer somewhere that contains the website and special hardware to help thousands of viewers receive and send information without breaking the system. These computers that contain information are known as servers and live in large server farms across the world. The cloud is simply an easy way to refer to the process of storing information on 24/7 accessible servers that are used through the internet. Instead of storing data on your laptop, data stored on the cloud exists in some physical location thousands of miles away. The benefit is that the server may be stronger than your laptop, store more data, and you can access it anywhere and on any device. The cloud has a few drawbacks but in general it helps businesses immensely by allowing them to access information worldwide, in real-time, without the need for a ton of new physical disk drives. It allows users to store photos and video from cell-phones without filling the small disk drive of a smartphone. It allows a business to spin up more servers when demand is high, and then use less servers when demand is low. In real-time! This tech saves more than time, it saves a ton of physical space. The Cloud is amazing technology. Now onto the real reason you are reading our guide to the Top 5 In-Demand Cloud Certifications of 2018! CompTIA is recognized worldwide as one of the best providers of entry level certifications. One of the best aspects of CompTIA is that they understand that certification takes more than just knowing the subject, you need a well-rounded view of the subject in general. A CompTIA Cloud+ will understand networking, hardware, software, and numerous aspects of the Cloud that make them a killer asset. Exam Details: Pass the CVO-002. $302 USD. 90 minute exam with 90 questions. Passing score is 750 out of 900. Recommended to have 2-3 years of Systems Admin experience. Schedule through Pearson Vue. Microsoft is the Server king in private businesses. Whether it’s the home-office or a large-scale business, Windows is involved. MCSA is a great certification because it works within the Microsoft Eco-System. Microsoft uses an in-house platform known as Azure that’s very powerful and can solve the needs of almost any client. Microsoft isn’t going anywhere anytime soon though and Azure is sure to keep growing. Also Offered: MCSA Cloud Platform and Infrastructure, Linux on Azure. MTA is offered as well for those lacking entry-level IT skills. Cisco is one of the worlds leading networking companies. That means a Cisco certified individual will be able to understand some of the more complex tasks that Cloud Infrastructure requires. From Virtual Machines to outsourcing, a CCNA Cloud certified individual has an incredible toolset working with the world’s largest database solutions. Just pass two tests and you are CCNA certified! Amazon servers are important and starting to be used widely in the gaming industry as well as other applications. Using the AWS platform, a certified solutions architect can help a business implement Cloud infrastructure into a wide variety of contexts. That means servers can be accessed and used on the fly when more users log into a AAA Gaming Title or a business can use them to house immense amounts of data. AWS certified workers are in high-demand and short supply. Exam Details: Requires a year using AWS. 130 minute exam. $150 USD. $20 Practice Exams Offered. Foundational Certification Recommended. Online resources offered in-house by Amazon. As ridiculous as it sounds, to a large part of the world, Google IS the internet. The lines have blurred between email, browser, server, and more because of Googles insane commitment to design and integration. Chances are the average business is using technology that Google has developed and the cloud is no different. A Google PCA can help with the set-up and design of a powerful cloud system running on googles tech. Exam Details: 2 Hours. $200 USD. Online Training Courses and Guides offered. Practice with Qwiklabs online as well. What type of jobs and pay can I get with a Cloud Certification? Unlike many other certifications, Cloud Technology is really new so its less common to have accurate job numbers. Some jobs that’ll be common haven’t even been invented yet! In general a starting Cloud worker can expect to earn anywhere from $60,000-120,000 a year. That’s in no way the ceiling either as most Cloud Technology certified individuals will work other roles concurrently. Whether you are an engineer designing systems or just in Cloud administration, there are tons of unique Cloud jobs at businesses worldwide. How do I know if this path is for me? There are a lot of pathways to learning Cloud technology. Amazon and Google both offer amazing free in-house tools that allow you to see what the technology requires. Amazon charges to see a practice exam ahead of time while google gives a practice environment. The other three Vendors offer exams but require a bit more study on your part and can be confusing. All of them though are a big commitment. That’s why we recommend checking out some online practice exams. ExamTopics offers any online exams for almost any certification imaginable, best of all they’re free and very close to the actual exams you’ll encounter. That means you can use them to get a feel for what certification entails or requires. We hope our guide to The Top 5 In-Demand Cloud Certifications of 2018 has helped you hone in on some awesome career path options. Cloud Technology is just beginning to become the normative technology at large-scale businesses. Learning the ropes now may make you insanely valuable in the future to big technology companies. If this guide has helped you, please take a moment to like, comment, and subscribe. And please keep coming back for more informative articles on the world of certification that’ll take your career to the next level!